Standard Size Chrome Postcard in Excellent, Unused Condition. This post card was published by A.S.M.K. & Co., of Sinapore. 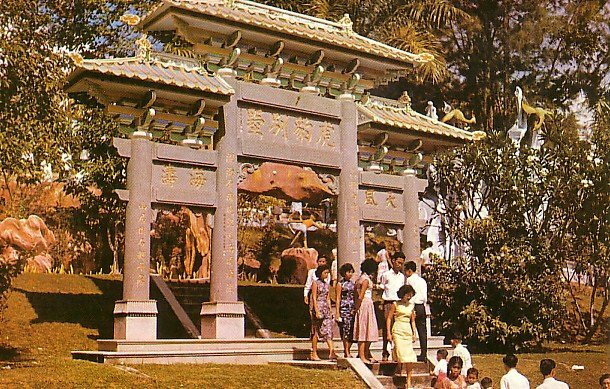 This well-known Tiger Balm garden attracts hundreds of sightseers every day and it is situated at Pasir Panjang on the west coast of Singapore.